Marie Russell is the Director, Global Partner Velocity Programs at Juniper Networks and brings more than twenty-five years of channel sales and marketing experience to her role. Marie has served as vice president, channel sales and marketing at Alcatel, Newbridge Networks, Actelis and Sideware where she developed and executed marketing programs for a number of vertical markets including Federal Government, Financial Services, Higher Education, Energy and Service Providers. From 2013 to 2017, Marie was a member of the Board of Directors of AFCEA International, where she served as a past Chair for the Homeland Security Conference, as well as on the Homeland Security and Small Business Committees. She has also chaired six Industry Partnership Symposiums since 2009. Marie founded and served as Co-Chair of the Mentoring Continuum with AFCEA. In June of 2014, Marie received the AFCEA Chairman's Superior Performance Award. 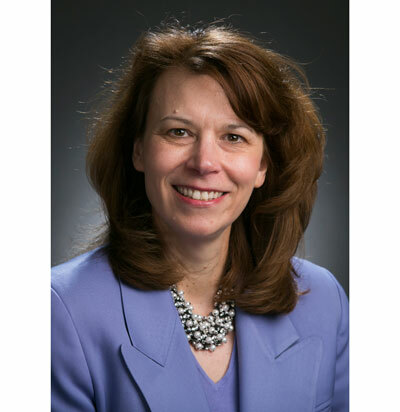 Marie also served on the Board of Directors for Women in Technology in Washington, DC, as well the Penn State Professional Women's Network of Washington, DC. Marie holds an MBA from George Washington University and a BS in Marketing from Penn State, for which she served as the Chair, Penn State Mentoring Program, DC Metro area. As the recently appointed, Director, Global Partner Velocity Programs at Juniper Networks, Marie has collaborated across the regions to develop and implement new Programs to drive incremental business with our Partners for Security, Data Center and Cloud Solutions. New initiatives include a more lucrative Rewards Programs for our Partners that provides an increased incentive for Partner Sales Representatives, Solutions Engineers and Solutions Architects for all business segments. New Programs for 2018 include Mid-Market Enterprise, an Incremental Rebate for Security Program, and a Network Modernization Program. Reshma Saujani, Lawyer, Activist and Founder of Girls Who Code. We need more women to mentor and support young girls to enter the technology industry. __________________________________________ Also Amal Clooney, International Lawyer and Human Rights Advocate - what else needs to be said about this world class leader? Enjoy the journey more, including the zigs and the zags of our career. The times I have been between gigs have been the most memorable as I had the time to give back to the community in meaningful ways. I would like to be a Cyber Security expert and be more involved with Department of Homeland Security and/or NSA in defending our country and institutions from cyber -criminals and nation states. On Managing Yourself, Harvard Business Review Peter Drucker writes about how people need "to stay mentally alert and engaged during a 50-year working life, which means knowing how and when to change the work we do." The book looks at how to leverage our strengths, how we learn, and how to build fuller careers. I believe as all of us live longer, there is the need to stay active and continue to find ways to give back throughout our careers. As we transition, the work and life experiences, and wisdom we have developed can make for exciting new career chapters.